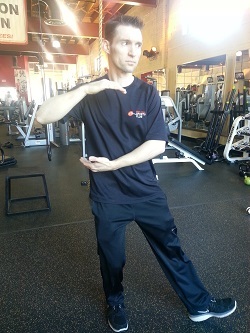 Employee spotlight: Personal Trainer Mike Yuskiw! NSPA certified, Mike holds a BA in Chinese and Political Science. He spent 3 years in Beijing, China perfecting his Chinese and martial arts training and we are excited to have his kickboxing and martial arts expertise at RCSC! Join Mike in his Tai Chi Small Group Training class Thursdays, 7:45 to 8:35am.